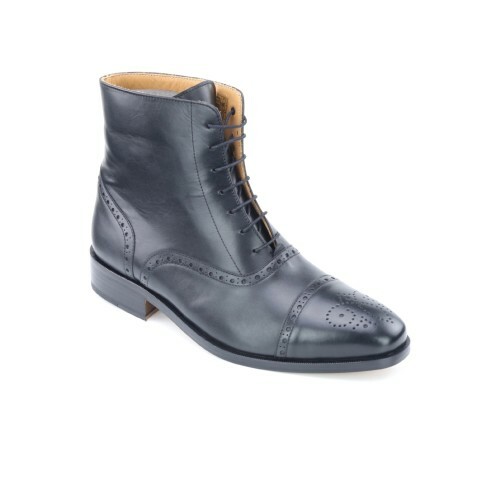 Stunning, elegant black dress boot for men. The Balmoral style is a traditional mens dress boots. Blake-stitched leather sole and calf uppers.